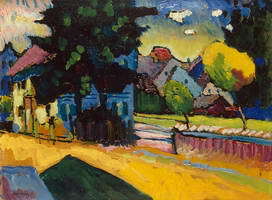 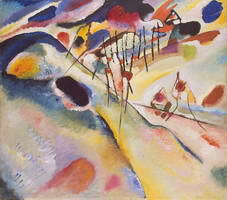 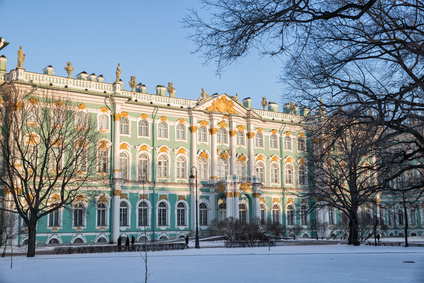 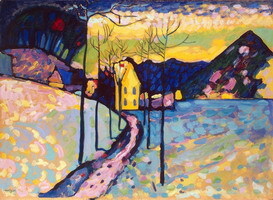 The Hermitage Museum collection comprises five paintings by the artist, some of the greatest of which are Composition VI (1913) — one of the flagship instances of Kandinsky’s expressionistic abstraction — and Winter Landscape (1909), an epitome of his period of search and experiments with color and shape. 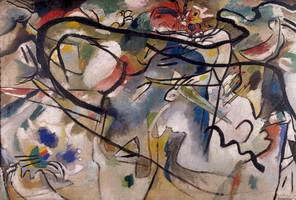 Sketch for Composition V (1911) was purchased in 1969 from a private owner, while the other four works were transferred from the State Museum of New Western Art upon its liquidation in 1948 by order of Joseph Stalin. 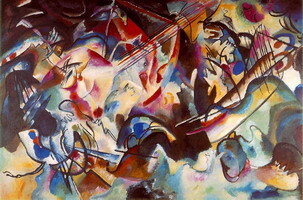 The State Museum of New Western Art was the largest collection of contemporary art obtained by nationalization of the collection of paintings owned by reputed merchants Sergey Schukin and Ivan Morozov.